ZingChart-AngularJS is an AngularJS directive to allow ZingChart to work dynamically with data. Charts can be extensively customized with the ZingChart library. Utilize the power of Angular by allowing the directive to watch for changes to the configuration and the values of the chart, and dynamically update. 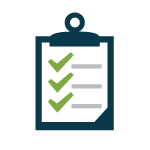 The directive is simply a wrapper around ZingChart allowing users to have full capabilities of the library. Allow ZingChart to resize dynamically to the full width and height of it's parent. Drag the bottom right hand corner to see the responsiveness. Fetch new data using AJAX, change the scope variable, automatically update the chart! Integrate ZingChart into your AngularJS application. For basic charts, just add data! 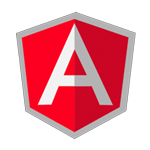 Utilize AngularJS's two-way data-binding by allowing this directive to watch for changes. The directive can be set up to watch for the chart's data values, or even chart configuration attributes. Need to squeeze out performance? Want to learn more about its other features?